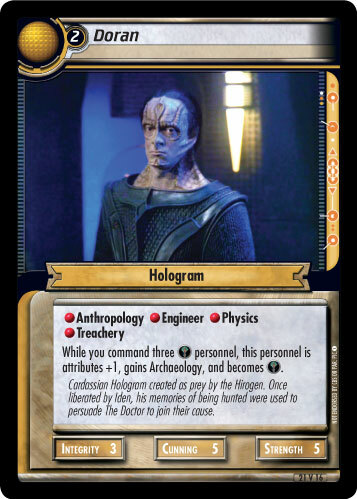 While you command three personnel, this personnel is attributes +1, gains Archaeology, and becomes . 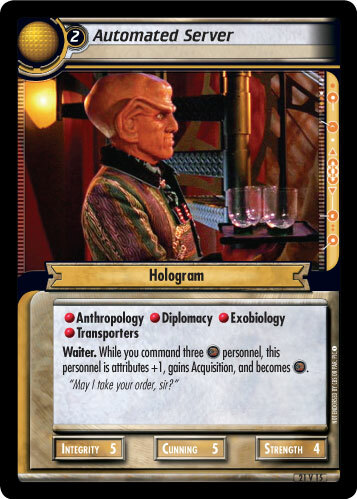 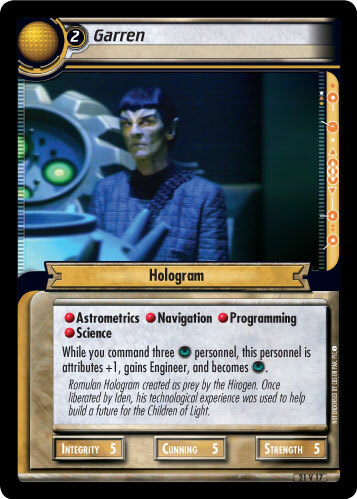 Cardassian Hologram created as prey by the Hirogen. Once liberated by Iden, his memories of being hunted were used to persuade The Doctor to join their cause.